He hated becoming Thomas Ripley again, hated being nobody, hated putting on his old set of habits again, and feeling that people looked down on him and were bored with him unless he put on an act for them like a clown, feeling incompetent and incapable of doing anything with himself except entertaining people for minutes at a time. We can learn a great deal about the Glam impulse from these lines from The Talented Mr Ripley. 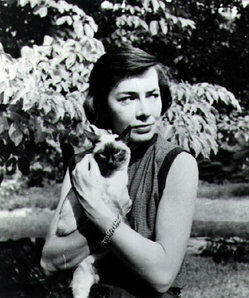 Significantly, Highsmith wrote the first Ripley novel in 1955 and only returned to the character in 1970. Tom Ripley was not a character that could fit into the rock and roll era, with its emphasis on teen desire, social disruption and Dionysiac excess. But Ripley’s‘hedonic conservatism’, his snobbery and his facility with masks and disguise, mean that he would be perfectly at home in the Marienbad-like country estate of Glam. If Sixties rock was characterized, on the one hand, by appeals made to the big Other (demands for social change and/ or more pleasure) and, on the other hand, by the denial of the existence of the Symbolic order as such (psychedelia), then Glam was defined, initially, by a hyperbolic/ parodic identification with the big Other – by the return of Signs and/ of Status. In the sentence cited above, there are, evidently, two Toms - 'Thomas Ripley' the performed social role, and the Tom who performs that role; Tom the speaking subject and Tom the subject of the statement. At the outset of The Talented Mr Ripley both these Toms are ‘nobodies’ – as a speaking subject, like all speaking subjects, Tom is ontologically nothing; and as the subject of the statement is socially nothing. At this stage, Tom is very far from being the insouciant, poised figure he will appear to be later; he is capable of simulating confidence only when taking on the role of Other people. It is not that Tom lacks status; it is that he has no place whatsoever in the social hierarchy. His status is not even low. His indeterminate social origins and his ability as a mimic and as a forger (skills upon which his anti-career as a fraudster are based) mean that he fits in nowhere (or anywhere). Tom experiences this Nothingness in classic existentialist terms, feeling himself to be inchoate, a void, unresolved, unreal. But the novel is a kind of existentialist picaresque by the end of which Tom has the (financial) means to create a Thomas Ripley he will not hate being. At the beginning of the next novel, Ripley Under Ground, it is immediately evident that Tom has created/ become such a figure. Tom has fashioned his best forgery – a Thomas Ripley who is independently wealthy, owns an elegant house in the Paris suburbs and is married to a beautiful, hedonistic heiress. From now on, Ripley’s anxieties will concern not the establishment of an Identity, but the preserving and defending of the status he has acquired. Ripley’s trajectory is uncannily in sync with that of Bryan Ferry. 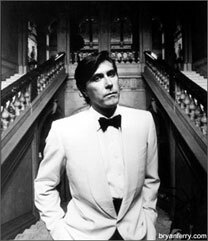 Roxy Music and For Your Pleasure, those exercises in learning and unlearning of accent and manners, are Pop’s equivalent of The Talented Mr Ripley. The clothes , the bearing and the voice are faked, but not yet perfectly. The roots still show, and the painful drama of becoming something you are not still carries an existential charge. Stranded and the subsequent albums, meanwhile, are the equivalent of the later novels; here, success is assumed, and the threats to the tasteful but banal idyll come from ennui, a certain unease with contentment, and - most ominous of all - the danger of the past returning. The vapid bucolia of Roxy's Avalon - recorded when Ferry was himself married to an heiress and living on a country estate – would be the perfect soundtrack to Ripley puttering around in his Harpers and Queens dream home, Belle Ombre, with his wife, Heloise. The first step to Ripley's becoming a Something turns out to be his vampirising of the identity of Dickie Greenleaf. I say ‘turns out’ because – contrary to what Anthony Minghella’s film implies – it is clear that Tom does not to go to Europe with the thought of destroying Dickie already in his mind. Ripley is a brilliant improviser, not a planner; the plans he does make are short-term, often leading to more problems than they solve, and he derives enjoyment from cleaning up messes rather than from avoiding them in the first place. Initially, Tom’s attitude to Dickie is ambivalent is not straightforwardly predatory – he is aggressive and envious but also affectionate. If Tom is Nothing, a turmoil of unresolved purposes, a tumult of shame and inadequacy, then Dickie is really Something, an Object, resolved and real, possessing ‘the solidity of a stone’. By taking the place of Dickie, Ripley can escape the pain, anxiety and awkwardness of being himself, a self. To become an Object – to be relieved of the pressures of subjectivity, untroubled by any interiority – isn’t this one of central fantasies of Glam? What is missing from Zizek's analysis is a recognition of the way that Dickie fails to serve as an adequate ideal ego. No doubt this is partly a registering of Dickie's rejection of Tom. But it also expresses Tom's feelings of revulsion for Dickie. What has been 'snatched away' from Tom is not just Dickie 'himself', but the fantasy of Dickie. It is as if Tom is no longer capable of pretending (to himself) that Dickie is anything other than a really rather mediocre person; as if he has encountered, for the first time, the brute, stupid physicality of Dickie - has seen Dickie, directly, without the screen/ sheen of fantasy to beatify him. Tom’s break from Dickie is inevitable after the desperately painful scene, slightly earlier, when Dickie discovers Tom wearing his clothes and imitating him in front of the mirror. Dickie is disgusted and angered by Tom's imitation (what is more horrifying than being someone else's ideal ego? ), just as Tom is utterly mortified by the fact that Dickie has discovered him in the act (what is more shameful than being caught by your ego ideal fantasising about them?). Significantly, Dickie makes the same error as Minghella, (mis)interpreting Tom's behaviour in terms of sexual obsession, choosing this moment to emphatically deny to Tom that he is 'queer'. But Tom’s wanting to be Dickie is far more obscene, far more deadly, far more Burroughsian, than his wanting to have him would have been. Once Tom can no longer sustain his fantasy identification with Dickie, the logic of his psychosis insists that he will only be able to resolve his existential crisis – his lack of Being - by killing Dickie. That is partly because, in Ripley’s mind, Dickie is already dead: a soulless shell who illegitimately possesses wealth and social status that the more tasteful and refined Tom feels that he rightfully deserves. Tom is sure that he can be Dickie better than Dickie himself could be, and Dickie will be the daub that Tom will use as the basis for his masterpiece, the new Thomas Ripley. There is also a sense in which, by killing Dickie, Tom‘earns’ his place in the unproductive leisure class. Even before he is elevated into the leisure class, Tom shares its disdain for ‘drudgery’. The difference between Tom the common thief and con artist and Tom the member of the leisured elite is a successful act of violence. 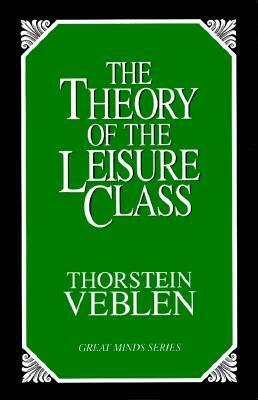 Veblen argues that ‘leisure class society’ is founded on the ‘barbarian’ distinction between exploit – ‘the conversion to his own ends of energies previously directed to some end by another agent’ - and industry (or drudgery) – ‘the effort that goes to create a new thing with a new, (“brute”) material’. The Masters must always vampirize, never produce. ‘The performance of productive work, or employment in personal service, falls under … odium. An invidious distinction … arises between exploit and acquisition by seizure on the one hand and industrial employment on the other. Labour acquires a character of irksomeness by virtue of the indignity imputed to it.’ Hunting has always been one of the activities upon which the leisured elite has prided itself, and Ripley is a consummate hunter (prey is one of the meanings of Ripley’s Game).